[S11] Alison Weir, Britain's Royal Families, page 287. 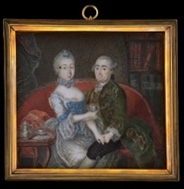 Wilhelmine Prinzessin von Hessen-Kassel was born on 25 February 1726.1 She was the daughter of Maximilian Landgraf von Hessen-Kassel and Friederike Charlotte Prinzessin von Hessen-Darmstadt.1,3 She married Friedrich Heinrich Ludwig Prinz von Preußen, son of Friedrich Wilhelm I König in Preußen and Sophia Dorothea Hanover, Princess of Great Britain, on 25 June 1752 at Schloss Charlottenburg, Berlin, GermanyG.1 She died on 8 October 1808 at age 82.3 She was also reported to have died on 8 October 1809. [S12] C. Arnold McNaughton, The Book of Kings: A Royal Genealogy, in 3 volumes (London, U.K.: Garnstone Press, 1973), volume 1, page 73. Hereinafter cited as The Book of Kings. He was educated at Trinity Hall, Cambridge University, Cambridge, Cambridgeshire, EnglandG.1 He held the office of Member of Parliament (M.P.) 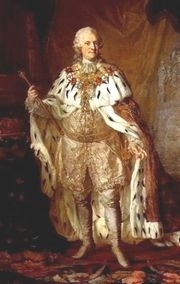 (Whig) for St. Germans between 1715 and 1722.1 He held the office of Lord of the Bechamber to George, Prince of Wales between 1715 and 1727.3 He held the office of Member of Parliament (M.P.) (Whig) for Lostwithiel between 1722 and May 1723.1 He held the office of Captain of the Yeoman of the Guard between 1723 and 1725.3 He succeeded as the 4th Baron Stanhope of Shelford, co. Nottingham [E., 1616] on 9 February 1725/26.1 He succeeded as the 4th Earl of Chesterfield, co. Derby [E., 1628] on 9 February 1725/26.1 He held the office of Lord of the Bechamber to King George II between 1727 and 1730.3 He held the office of Ambassador to The Netherlands between 1728 and 1732.3 He was appointed Privy Counsellor (P.C.) 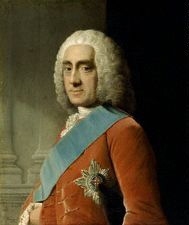 on 26 February 1727/28.3 He held the office of Lord Steward of the Household between 1730 and 1733.3 He was appointed Knight, Order of the Garter (K.G.) 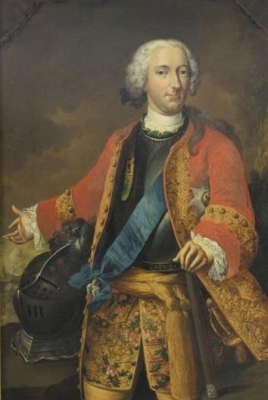 on 18 May 1730.3 He held the office of Lord-Lieutenant of Ireland between January 1744/45 and October 1746.3 He held the office of Lord Justice of the Realm in May 1745.3 He held the office of Secretary of State for the North from October 1746 to February 1747/48.3 He wrote the book Chesterfield's Letters.4 His last will was dated 4 June 1772. [S6] Cokayne, and others, The Complete Peerage, volume III, page 183.